Do you begin your day with a couple of ibuprofen and end it in a child’s pose stretch? After trying different sleep positions and beds, are you left wondering if the best mattress for back pain is just a wives’ tale? Admit it, sometimes the thought of a hot bath with eucalyptus Epsom salt offers a bigger dopamine hit than the idea of an oversized margarita. You’re also not 100 years old just yet, but apparently, someone forgot to tell your lower back. You can find a lot of ways to cope with chronic back pain during the day. You got an ergonomic desk chair at work and you always stretch before you hit the treadmill. You even got those dorky inserts for your shoes. But some back pain doesn’t stem from your waking hours. What if we told you your old mattress was the source of your woes? If you’re experiencing regular discomfort or flat out suffering, finding the best mattress for back pain could change your life. 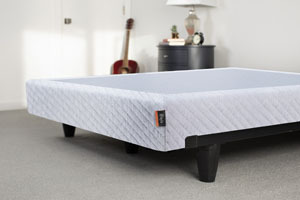 Sleeping on the wrong mattress can be the genesis of a pain problem, or it could exacerbate an issue you already have. And, yes, the rumors are true: you can even hurt yourself while you’re asleep. If you’re resting with your neck at a bad angle, sleeping atop a slouching (read: not the best) mattress, or snoozing with one arm over the side of the bed to stay cool — you could wake up feeling like you fell down the stairs. No matter how you developed back discomfort, finding the best mattress for back pain is a crucial ingredient for effective pain management. Before you go mattress shopping, think about which type of pain you’re trying to address and your own sleep habits. The place on your body where you most experience pain can help inform your purchase decision. 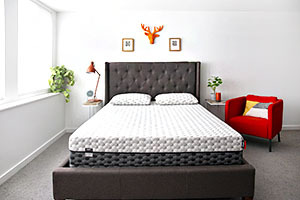 For example, the best mattress for back pain may be different for side sleepers and back sleepers. But, let’s focus on that nagging ache you have first. Lower back pain is basically an epidemic. About 80% of adults report this type of discomfort at some point in their lives. The National Institute of Neurological Disorders and Stroke recommends sleeping on your side in a loose fetal position to reduce the strain on your lower back. The best mattress for lower back pain will provide ample support to your hips and side as you rest. A firm mattress is probably the right move. Bad posture is a common cause of upper back pain. This includes your position during your sleeping hours. If you’re laying with your shoulders crouched or neck bent unnaturally all night long, your body is going to rebel big time. A firm mattress and supportive pillow keep your posture straight even when you’re unconscious. Your best mattress will come complete with deep compression support so that uncomfortable shoulders don’t quickly lead to major upper back pain. Ah, alignment problems. When your neck, spine, and hips are out of whack you’ll feel it. You may end up with dull, referred pain that moves around or a more acute axial pain from a strained muscle. 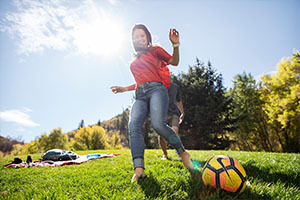 The National Osteoporosis Foundation has some recommendations for better rest with alignment in mind. Consider the best mattress for your back pain the tool that helps you make this advice a reality. If you sleep on your back, make sure your pillow doesn’t push your head forward and consider placing a pillow under your knees. When you’re on your side, the Foundation recommends keeping one pillow between your knees and another under your head. 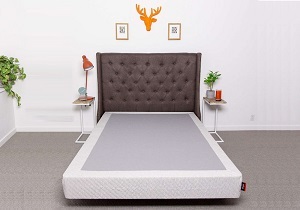 The best mattress for back pain will offer consistent support (you shouldn’t have firmness near your head but lumpy, broken springs near your hips). Many sciatica patients think they actually have a pulled leg muscle. This is because sciatica, a condition that relates to the sciatic nerve, can originate in your lower back but spread down to your thighs. If you suffer from sciatic nerve pain, the best mattress for you must conform to your body to support your spinal discs, because sciatica is often the result of a herniated disc. You need a mattress firm enough to support your spine but soft enough to hug your hips. You’re looking for a mattress that doesn’t run hot but that also keeps you cozy on a cool night. If it seems like you’re on the hunt for a unicorn, don’t worry. Many of the qualities you need CAN co-exist in the best mattress for back pain. If you’re searching for a new mattress to address your back woes, you should have a checklist in hand. Here are some things to look for in the right mattress. The best mattress for lower back pain (and upper back, neck, and hip pain) won’t sag over time. Traditional mattresses naturally sag within a few years. Springs deteriorate or break, foam condenses, and before you know it there is a clear indent in your bed where you most commonly lie down. A quality mattress designed for back pain won’t sag. It remains supportive over the years (just like a good friend) and bounces back when you get up each morning. Some parts of your body need more support than others, especially when you suffer from any form of back pain. The areas underneath your shoulders and hips, for instance, compress the mattress more deeply than your ankles and arms. The best mattress for your back (and your front and your side) will stiffen under your pressure so your back remains supported. Tossing and turning aren’t good for your body. And the one foot in, one foot out strategy only gets you so far when it comes to temperature control. Let your mattress do the work for you. The best mattress for back pain is one that allows you to settle into a comfortable and supportive position and stay there all night. But a copper-infused mattress takes that up a notch by also drawing excess heat away from your body. You stay cool and you don’t have to wake up to throw your socks across the room (no wonder they always go missing). Firmness is also another characteristic of the best mattress. Plush mattresses can be very cozy in the short term, but if you have chronic pain they may leave you achy by morning. After a few months, you’ll notice that your back is out for revenge. The best mattresses for back pain have layers of support, each of which have adequate firmness. What you consider adequate firmness might be too soft for the next person, which is what makes options like the Layla Mattress so cool. Our mattress is flippable. That means each one has a firm side and soft side – just flip it over to find the best mattress for your back. Your body is one in a million, so how are you supposed to sleep on a mattress designed for the masses? A mattress capable of soothing your back pain will conform to your body. Memory foam is simply the best mattress material for the job. A memory foam mattress hugs your body like a good friend. If you need additional back arch support, it rises to meet the challenge. Need your hips to soften into your bed? Consider it done. 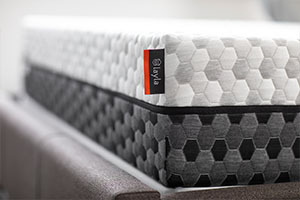 At Layla, we are proud that our mattress is the best mattress for back pain. But you don’t just have to take our word for it. We brought the receipts. 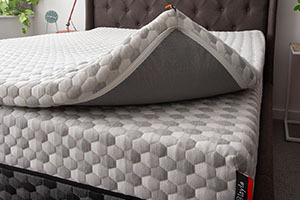 The sleep experts have reviewed our product and they agree that the Layla Mattress is great for all sorts of pain relief. Needless to say, we’re proud of what people in the know are saying about us. And we’re confident that people in the know about their own back pain needs will find The Layla Mattress to be a life-changing addition to their sleep habits. Say goodbye to back pain forever when you switch to a quality mattress. Sleepless nights are for the birds, and you can’t get the first worm anyway if you’re in pain. Long gone are the days of missing out on activities because of back pain. You can finally join that adult dodgeball league you drive by on the way home from work (if you want to, of course). 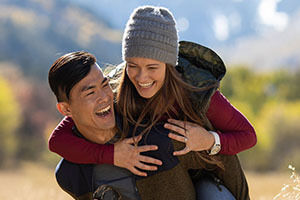 Shop the best mattress for back pain today, and you can stop missing out on life’s opportunities by tomorrow.